Register for the Chick-fil-A Fall Stampede today! Additional race information can be found at http://childrenscancercenter.org/fall-stampede/. Packet Pickup will take place at the Children's Cancer Center on September 6th from 4PM to 8PM, September 7th from 8AM to 2PM and the morning of the race at Curtis Hixon Park beginning at 6:30AM. The 7th Annual Fall Stampede presented by Chick-fil-A is held every Fall to benefit the Children's Cancer Center. The Children's Cancer Center supports the immediate needs of children and families battling childhood cancer through 24 support programs. 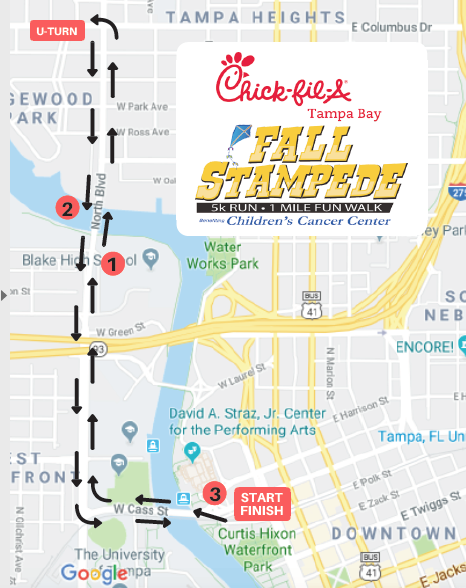 The event includes a 5K chip timed run with a time kiosk, 1 Mile Family Fun Run/Walk, a Mascot Race, photo opportunities with the Chick-fil-A cows, and a post-race party in Curtis Hixon Park including a family fun zone, Chick-fil-A food, games, and great prizes. Runner shirts are subject to availability if registering after 9/6/18. Chick-fil-A has been a sponsor and partner in this event benefitting the Children Cancer Center from its inception in 2012. The Fall Stampede grew from 800 runners to over 1,500 runners and has raised approximately $380,500 in net proceeds within the last 6 years. No pets allowed on race course. 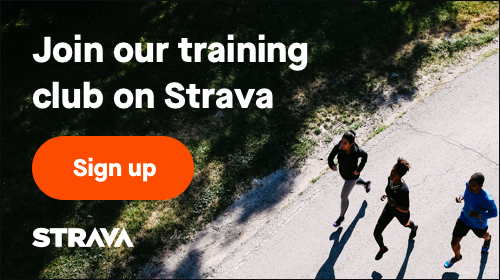 NEW Sleep In option: Don't like to run? You can still support the Children's Cancer Center from the comforts of your own home! With your sleep in registration you receive a FREE Chick-fil-A gift card, t-shirt and a cow print sleep mask!